[x] Add Simple/Comples Shimmering affects in your application with no coding. Download the repo code and drag the Classes folder into your project. Can be created on demand or for future usage. Fancy and beautiful loaders for you awesome apps! 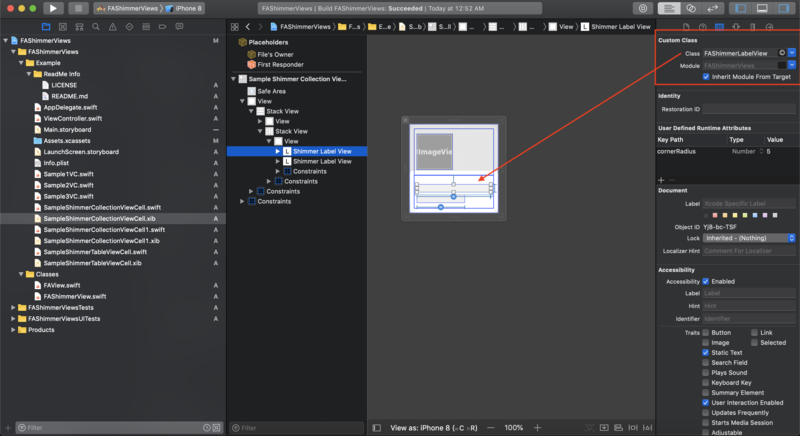 drag a UIView to storyboard and change class to VDSLoader. Awesome Dropdown menu for iOS with Swift 4.